Drawn from exceptional musicians from across the continent, the Chineke! Orchestra is part of the Chineke! Foundation - a non-profit organisation that provides career opportunities to young Black and Minority Ethnic (BME) classical musicians in the UK and Europe. Their motto is Championing Change and Celebrating Diversity in Classical Music. The orchestra is the brainchild of Chi-chi Nwanoku MBE, FRAM, who describes the project's aim as being "to create a space where BME musicians can walk on stage and know that they belong, in every sense of the word. If even one BME child feels that their colour is getting in the way of their musical ambitions, then I hope to inspire them, give them a platform, and show them that music, of whatever kind, is for all people." In their debut release live from the Royal Festival Hall in a new series, Chineke! Orchestra perform two beguiling works: Sibelius's Finlandia and Dvorák's much loved Symphony No. 9: From the New World. 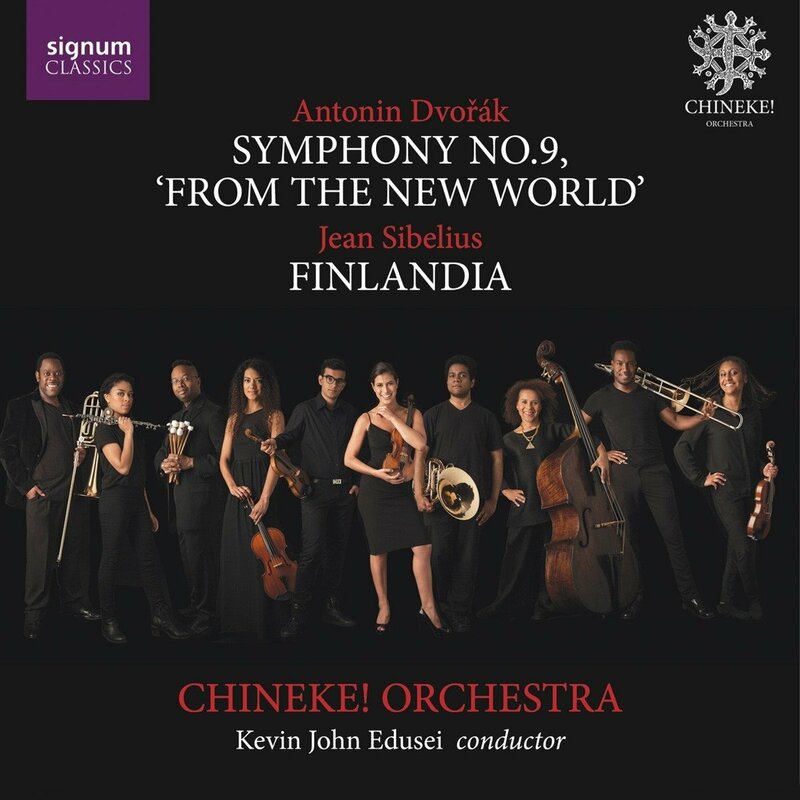 Both pieces encompass different aspects of BME influences in Western Classical music: Sibelius's Finlandia embodied a national sentiment in both the composer's homeland of Finland as well as for other small nations seeking to free themselves from subjugation from other countries (becoming the national anthem of Biafra during the civil war of 1967-1970), and although underplayed by critics at the time, Dvorak's work rings with melodies influenced by the folk music and spirituals sung to him by his African-American student and assistant, Harry Burleigh, and with rhythms and pentatonic sections inspired by the music of the Sioux Indians, all wrapped up in the format of a Western Classical symphony. This compilation gathers exhilarating performances of some of the loudest orchestral pieces ever written. 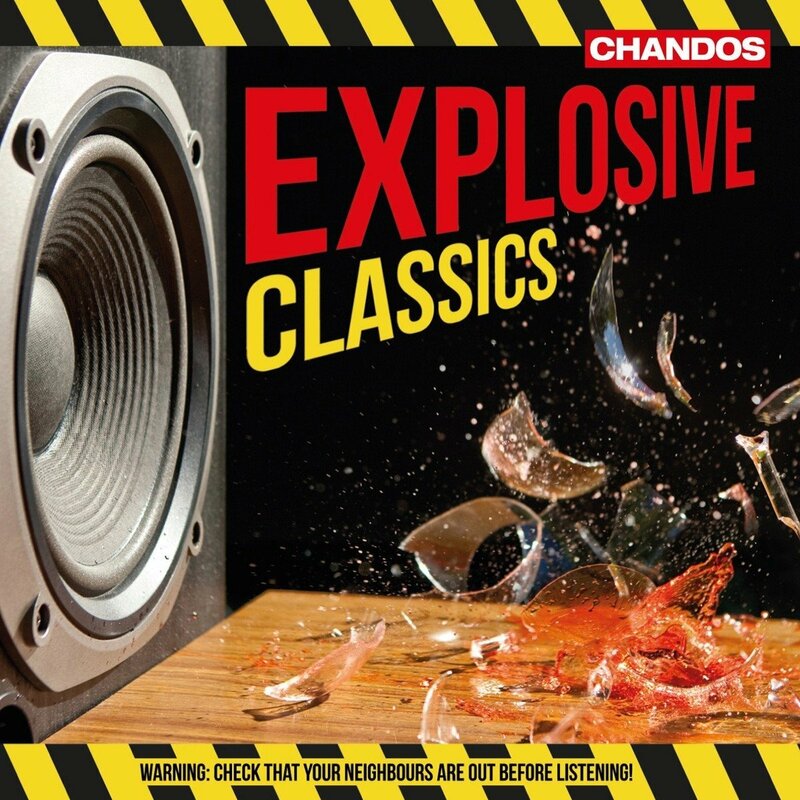 The powerful, characteristic Chandos sound is best revealed in these resounding recordings of popular works. So turn up the volume of your Hi-Fi, move away any glass or crystal, make sure your neighbours are either out, deaf, or very good friends, ... and enjoy!